Transparent Colbalt Size 6round seed beads. These blue beads are perfect for a variety of jewellery pieces that require a 4mm hole. 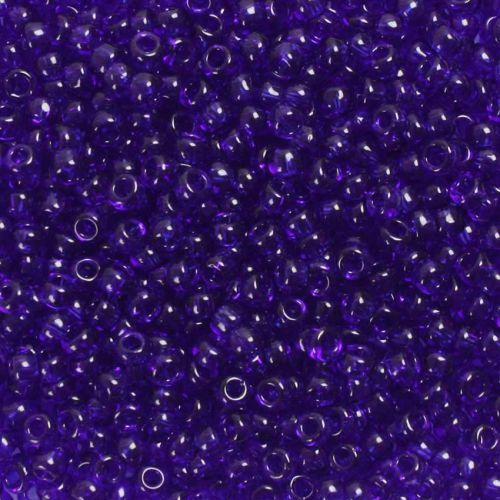 These Japanese made Toho beads are of excellent quality, and are widely known for being consistent in size and colour. CommentBeautiful, deep, vibrant blue, that is just a gnatt's chuff away from the colour of Bristol Blue glass - almost deep indigo. The impact of a block of colour using these beads is stunning.